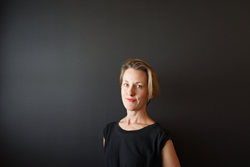 Leading independent digital media agency PMG welcomes Jill Burgeson as its Head of Strategy and Insights. In the new role, Burgeson will build a brand strategy practice and team across PMG’s locations in Texas, New York, and London, as well as lead its team in Los Angeles to serve West Coast clients. In the new role, Jill Burgeson will build a brand strategy practice and team across PMG’s locations, as well as lead its team in Los Angeles to serve West Coast clients. Burgeson comes to PMG as a 20-year veteran of marketing and advertising hailing from Deutsch, TBWA\Chiat\Day, McKinney and Goodby, Silverstein & Partners. Most recently, Burgeson served as Director of Strategy and Partner at SUPERMOON, a boutique ad agency in Santa Monica that created the latest creative work for GoFundMe and TripAdvisor, among other clients. PMG is a recognized leader in the digital advertising industry. The independent full-service digital agency works with brands such as Beats by Dre, J.Crew, Sephora, Cirque du Soleil, and OpenTable on campaigns across more than 50 countries. PMG was voted iMedia’s Agency of the Year, and ranked among Ad Age’s top five “Best Places to Work,” in 2016. It was founded and is headquartered in Fort Worth, Texas, and has locations in Austin, New York City, Los Angeles, and London.